Month: February 2015 | Sanctuary Counseling, LLC. Strategies like lists and reminder notes are helpful, but there is so much more that can be done to help get your life back in control. ADHD is an acronym that you might hear often, wondering exactly what it means and if it only pertains to children with behavioral issues. 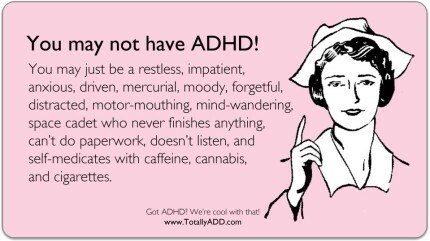 First of all, ADHD stands for Attention Deficit Hyperactivity Disorder. ADHD is sometimes referred to as ADD (Attention Deficit Disorder) because not everyone has the hyperactivity component of the mental health condition. Many ADD / ADHD symptoms include a lack of focus, distractibility, procrastination, irritability, impulsivity, hyperactivity, verbal outbursts, and even some issues with memory. It is estimated that about 3 to 10% of school aged children have ADD / ADHD and that about 60% of them will grow up to have ADD / ADHD as an adult, which means that ADD / ADHD is not just a child issue but a teen and adult issue as well. The adult ADD / ADHD rate is about 4 to 5% of the population. In childhood ADD / ADHD is often more prevalent in males, but by adulthood males and females are impacted equally by the condition. Also, it is often more difficult to diagnose ADD / ADHD in young girls because often they do not have the hyperactivity component of the condition. Statistics continue to suggest that ADD / ADHD is not simply a childhood issue, but a teen and adult issue as well. ADD in Teens can look different than in younger children, and can lead to significant struggles in school as well as with family and peers. ADD / ADHD may look somewhat different in teens than in younger children. By their teen years, many teens often do not have the severe hyperactivity that they had as younger children and others who still have the symptom have found ways to mask the issue. In teens, issues such as procrastination and distractibility often come with major school consequences as their schoolwork load increases along with their responsibility for it. Impulsive behaviors can be far more severe and self-destructive in teenagers than in younger children. Relationships with peers and with parents can become strained as the ADD / ADHD teenager struggles to control their anger and emotional outbursts, which can be made worse by those pesky teenage hormones. It is important for the adults in an ADD / ADHD teenager’s life to understand the nature of their mental health condition and to help the teen find healthy strategies to decrease the negative impact of ADD / ADHD on the teen’s life. Disorganization and procrastination in adulthood has serious implications. ADD/ ADHD may also look much different in adulthood than in childhood or adolescence. Many adults also do not demonstrate the hyperactivity symptoms and their impulsive behaviors also may not be as destructive as adulthood responsibility settles in. However, common adult ADD / ADHD symptoms do negatively impact an adult’s life in many ways. Many adults with ADD / ADHD have issues with being on time and chronic lateness often causes adults with the condition to be reprimanded at work or to lose their job. Another major issue seen with adults with ADD / ADHD is procrastination, which in the adult world can have profound consequences. For example, it is important to pay bills such as a mortgage on time and to get work projects completed in a timely manner or risk losing your home or your job. 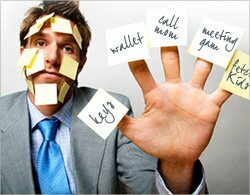 Adults with ADD / ADHD often struggle with the simple task of remembering to pay bills on time and the task of turning in work projects on time. ADD / ADHD adults may also have continued issues with angry verbal outbursts which may have fairly severe consequences for adults who are supposed to know how to control their emotions by now. 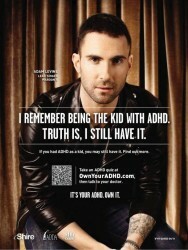 Adam Levine is a vocal advocate for Adult ADHD. Anyone of any age with ADD / ADHD may also be diagnosed with another co-occurring mental health condition, such as an anxiety disorder or depression. It is important to see a mental health therapist to seek appropriate treatment options for ADD / ADHD alone and especially if it is accompanied by another mental health condition. There are many therapeutic interventions and behavioral modifications that can be used by you and your therapist to treat your ADD / ADHD symptoms to help you lead a more fulfilling life. Your therapist may also work with your physician to help decide if any medication options are right for you (if medication management is a treatment option that you would like to explore). Whatever the options you consider, ADD / ADHD is a treatable condition for all of us – even those for whom childhood is but a distant memory.